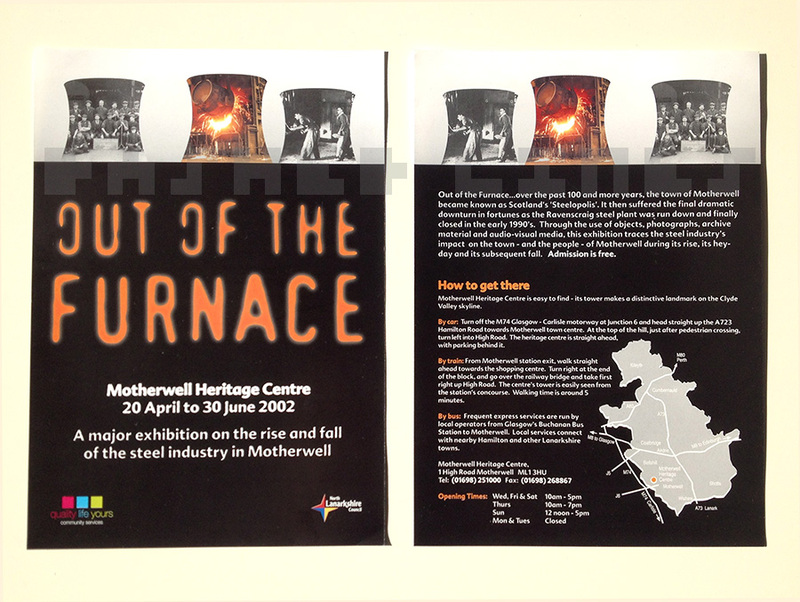 Flyer and poster for the Out of the Furnace exhibition about the history of steel-making in Motherwell. I was supplied text and the map so I focussed on making a graphic out of the title. I set it in the typeface FF Confidential and used various Photoshop filters to smooth the characters and come up with the ‘molten’ texture inside them. I used these on a ‘rich black’ background for better contrast. I also created a graphic based on the cooling towers at Ravenscraig steelworks. The towers used to be a major landmark on the Motherwell skyline. The classic British Steel logo was part of the landscape too but I resisted the temptation to put it in the design. After I’d finished the layout, the client came back with historical images of the steelmaking process. I wasn’t expecting these and hadn’t left space for them. I solved the problem by putting the photos inside the shapes of the cooling towers. This made them look more dynamic without cluttering the front cover. The design was well received and was adapted into black and white for newspaper small ads. I think I drew the cooling towers from memory as they’re a simple shape and were so familiar to me from my childhood. I could see them from across the valley on my way to school. The day they were due to be demolished we made a sort of family outing to the roof of a car park to watch them go. I think everyone in Lanarkshire knew someone who worked in Ravenscraig; including our old neighbour and one of my colleagues. The site was cleared and has a college and a sports hall on it but most of it is still empty. On a map, Motherwell is a sort of ‘Pac Man’ shape – Ravenscraig is the missing quarter. The road through it has lots of roundabouts with exit roads that don’t go anywhere. There’s a metaphor in there somewhere! The remaining Dalzell steel mill is a fraction of the size of what used to be there. 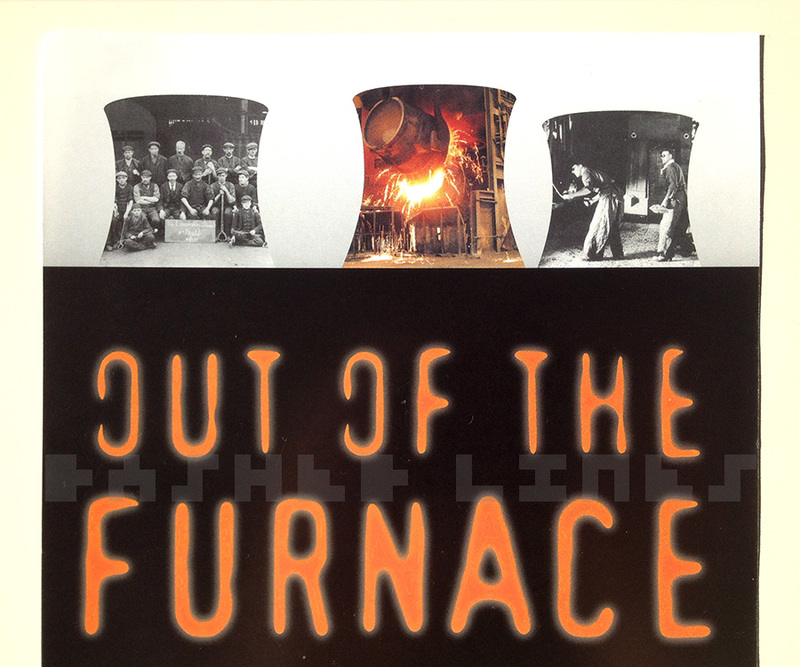 When other steel plants like Rotherham and Port Talbot hit the news it does bring it back. You hope they keep a live industry instead of the heritage centres and fancy paving of Motherwell or Ebbw Vale.